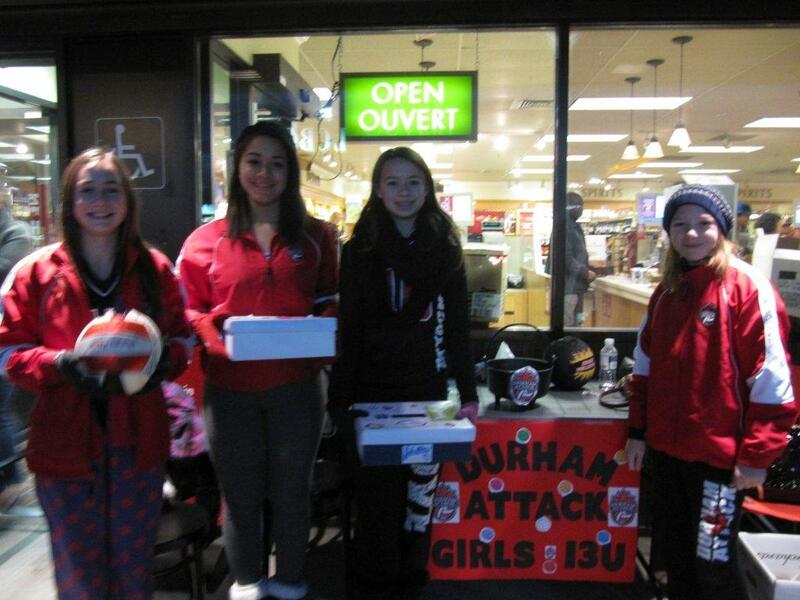 For the past two weekends, the girls on 13U Chaos have braved the weather as they raised funds at 2 LCBO locations. 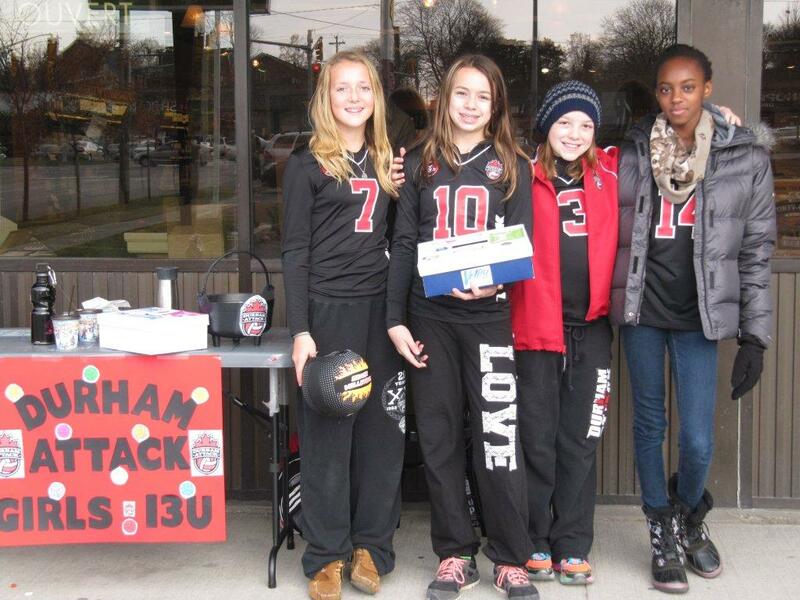 They smiled and chatted with kind customers, and even met a former Durham Attack player from 1993. What a great group of girls! Thanks to the generous support of the community, the team had two very successful fundraisers. Thank you to everyone who supported the team. A big thank you goes out to the staff at the LCBO at 111 Gilbert Street East in Whitby, and the LCBO at Highway 2 and Brock Road in Pickering. Way to go, team!